I've seen quite a lot of these type of posts around, in particular about the two Benefit mascaras. 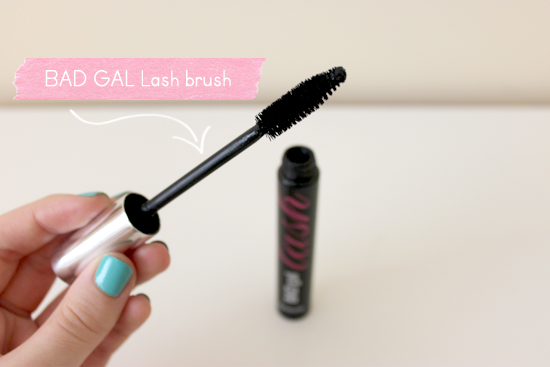 I have personally had both mascaras for some time now, and have finally decided to add my wee little two cents in on which I think is the better product. However, I do think each product has their pros and cons, and are both really good quality products, but sometimes a gal has to have her faves doesn't she? 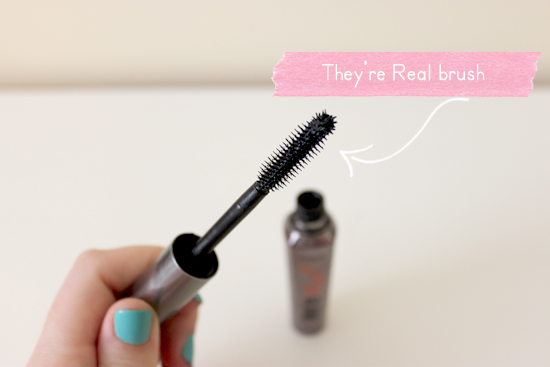 First up is the They're Real mascara. When I first bought this baby, I'm not gonna lie I was so excited to try it. I had heard and watched all sorts of beauty bloggers rave their praises about it, the unique separating wand, the amazing length and volume - the works. So when I first pulled it out of its trademark cute Benefit packaging, I was tingling with excitement, I was practically giddy about it all. However I was horribly disappointed. 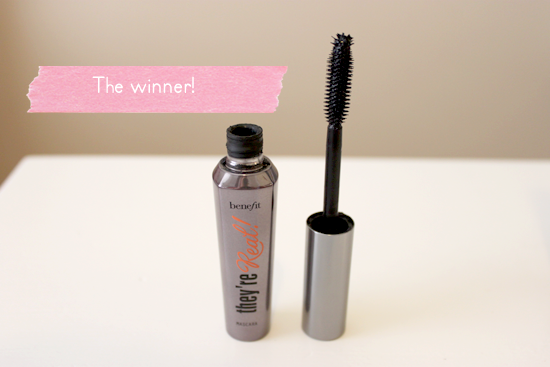 I didn't notice any difference in my lashes at all in comparison to my regular (and much cheaper) mascara, I found the wand hard and awkward to use as it is quite long and a bit harsh to use on my eyes. In general I was so upset that it didn't live up to the hype that I was expecting. Having said that, I think it may have been beginners bad luck. After using it a few times I finally got the hang of things and slowly, day by day grew to love this mascara almost as if it were my first-born child. I find the formula to be quite wet looking which makes it very quick and easy to use. After a few coats my lashes are ready to go. The unique brush bristles at the tip of the wand also makes it easier to reach those teeny tiny things at the corner of my eyes. I would say that I generally have fairly long and thick eyelashes, and this mascara makes them much longer with some curl and extra volume. I have received many compliments about my eye lashes when wearing this mascara, and who can complain with great compliments right? I find that this mascara doesn't clump at all, and in my opinion also separates my lashes quite well. I also find that this mascara works quite well on the bottom lashes. In terms of wear, this mascara for me lasts quite a while, it doesn't flake or cause me to get horrible panda eyes by the end of the day and that is always a plus. I also love the sleek packaging of this, so cute. Like They're Real, I find this mascara to be long lasting and have no problems with it in terms of wear. The only thing I don't like about the full sized product is how big it is, making it quite annoying to take around with me. Other than that I can't really fault it except for its price. In Australia, both mascaras retail for about $38 and other than the fact that I love the brush, I can't justify paying almost $40 for a mascara that is quite similar to regular drug store products and can achieve similar if not the same results. In this case, I definitely like They're Real much better and can probably justify purchasing this for the price, and I will repurchase it again. After getting the hang of things, I think that this mascara does live up to its hype and I can easily say that it is one my favourites and my go to mascara on a bad day. While didn't love the brush at first, I actually quite like it now, especially those spikes(?) at tip of the brush. HOWEVER, if I am being honest and I am swear! I use both mascaras together. I will usually use BADgal lash first for volume and then They're Real to separate my lashes and for extra length. I'd say I would use these in combination about 80% of the time unless I am short for time. 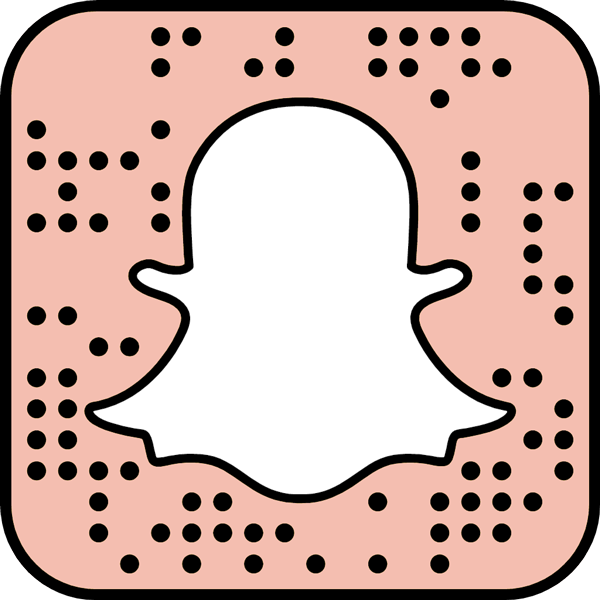 I would probably recommend to use these together, seriously give it a try! 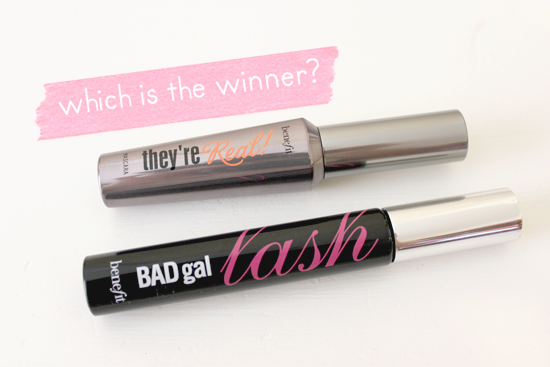 Do you own both of these mascaras? Which is your favourite? I must try They're Real, I have heard such great things about it.